The PodcastOne app is the best way to discover and download over 200 of today’s most popular podcasts in ONE place – for FREE! Listen anywhere... anytime! 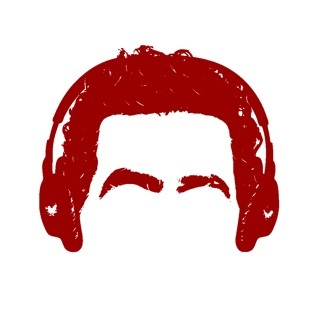 Listen to the BEST comedy, news, politics, sports and TV & film-related podcasts around, featuring a diverse lineup of popular shows and entertaining hosts including Adam Carolla, Shaquille O’Neal, Steve Austin, Heather Dubrow, LadyGang, Dr. Drew, Penn Jillette, Kaitlyn Bristowe, Dan Patrick, Ross Tucker, Rich Eisen, Beyond the Darkness, Chael Sonnen, Rob Has a Podcast, Laura Ingraham, and a whole lot more. Plus, the PodcastOne app helps you discover new shows just like the ones you love. PodcastOne has scoured the hundreds of thousands of podcasts out there to bring you over 200 of only the best, direct to your mobile device! Download it today. Updated to improve functionality with latest version of iOS. With the new update on the app podcasts will stop playing when you exit the app at least on my iPhone. In order for podcast to keep playing I would need to keep the app open. This issue needs to be fixed. This is where I listen to all of my podcasts. This app was great but they changed it at the beginning of the year and it is so bad now. I still listen to it on the computer but not on my phone. I read a review that said “if it ain’t broke don’t fix it” and they are right. New update is so much better! The update that just came out has made this app usable again, thanks.